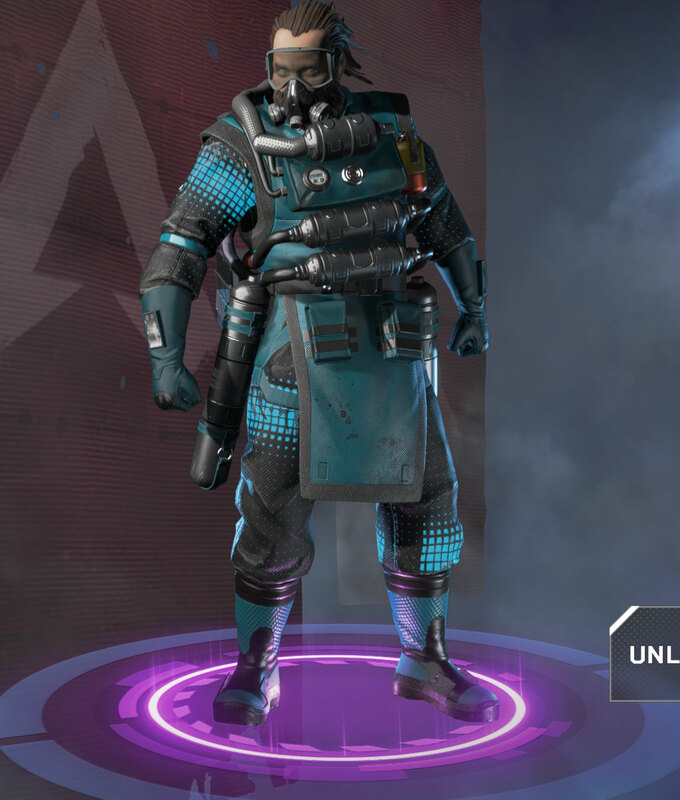 Home » Apex Legends » Apex Legends Caustic Guide – Tips, Abilities, Skins, & How-to Unlock! 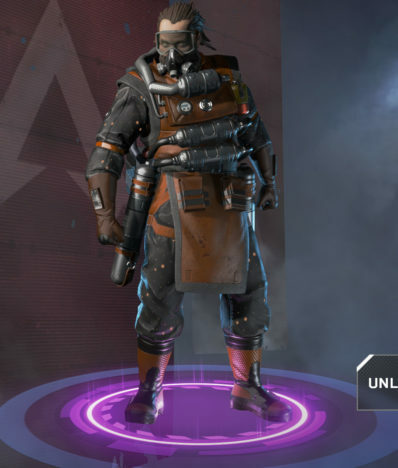 Apex Legends Caustic Guide – Tips, Abilities, Skins, & How-to Unlock! 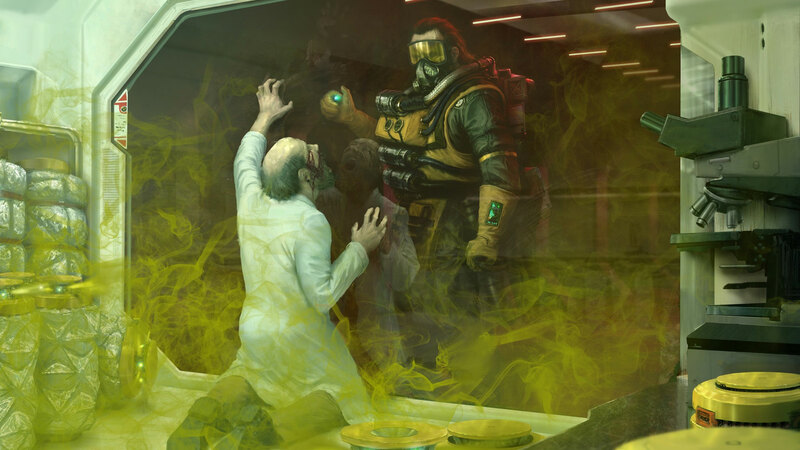 We're taking a detailed look at Caustic and his zoning abilities in Apex Legends! Our Apex Legends Caustic Guide runs you through all the information you'll need for this unique Legend. We're going through how-to unlock Caustic, his character information, abilities, ultimate, skins, tips, and even featuring some wallpapers! 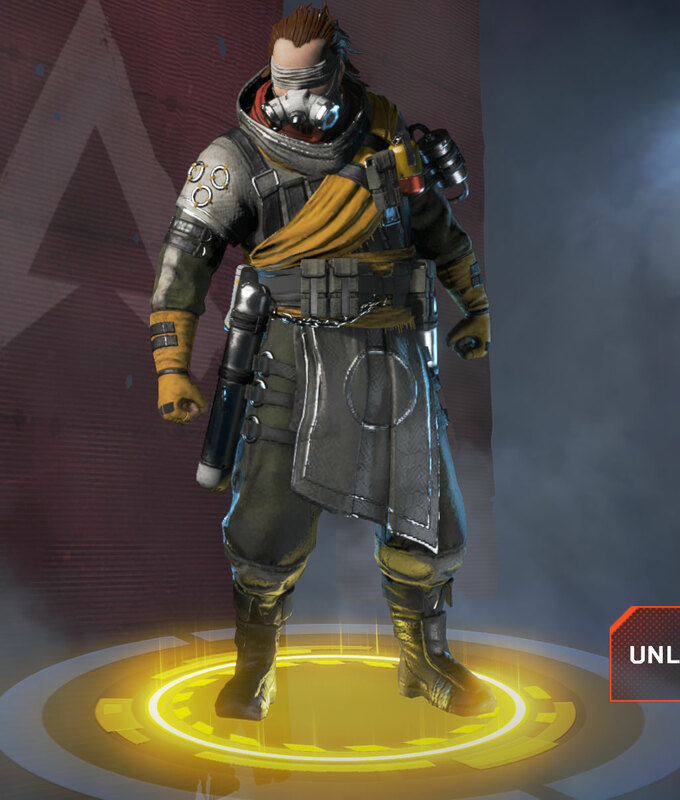 Caustic is interesting in that he's one of two Legends that aren't immediately available in the game. He also might be the most unique class currently, and focuses heavily on AOE style damage and confusing players with his gas abilities. If you get an enemy in his noxious fumes, you are completely immune and can see through it which will allow for some potentially easy kills. Before there was Caustic, a scientist named Alexander Nox worked at Humbert Labs, the Frontier’s leading manufacturer of pesticide gases. With a glut of pesticides needed to protect the growing Frontier colonies’ crops, Humbert Labs was constantly on the hunt for better and stronger formulas. Nox was one of their brightest scientists and worked day and night developing new gases. But to make sure they worked, he needed to test them on more than just inert tissue: he needed something living. As he toiled in secret, Nox began to see the beauty in his creations and their ability to destroy anything they touched. But the head of Humbert Labs soon discovered his gruesome experiments, and their confrontation ended with the lab in flames and its chief dead. Today, Nox is missing and presumed deceased. Caustic, meanwhile, now finds new test subjects in the Apex Games, where he puts his gaseous creations to work and observes their effects with great interest. Caustic is voiced by JB Blanc! 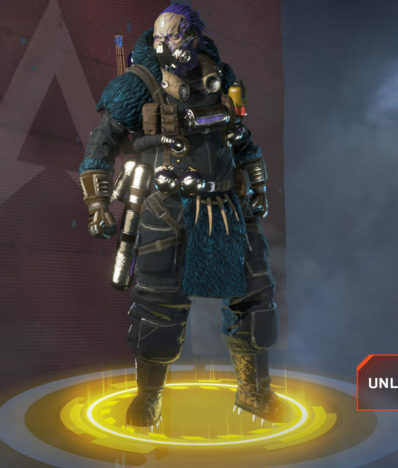 Apex Legends Wraith Guide – Tips, Abilities, Skins, & How-to Get the Wraith Heirloom Set! Apex Legends Bangalore Guide – Tips, Abilities, & Skins! 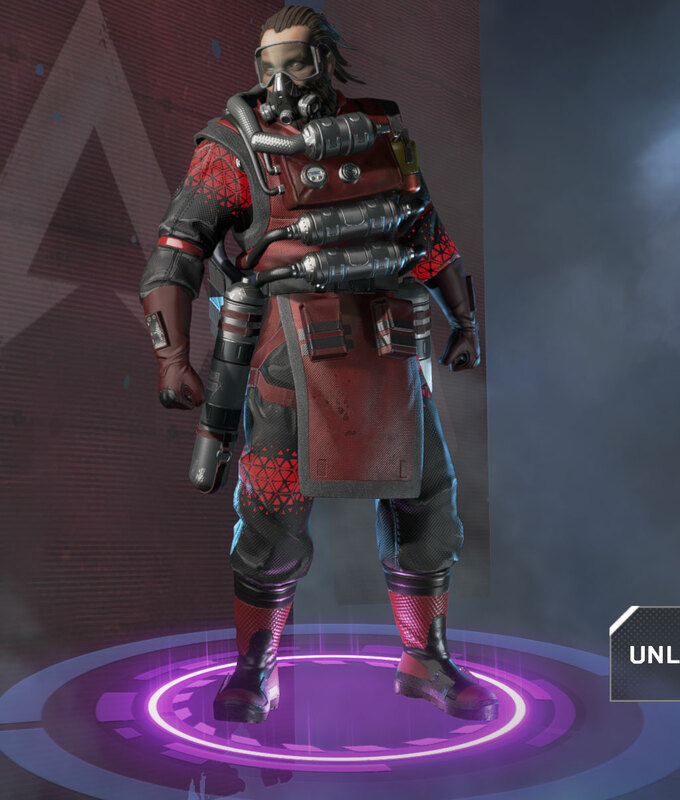 Apex Legends Bloodhound Guide – Tips, Abilities, & Skins! 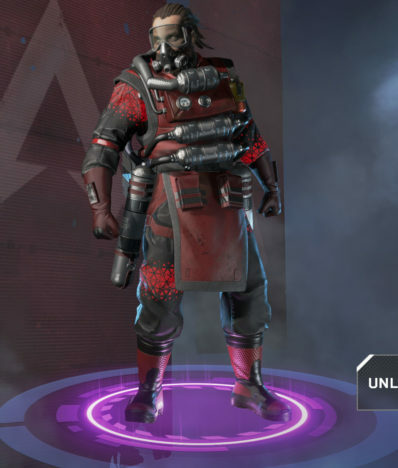 Apex Legends Pathfinder Guide – Tips, Abilities, & Skins! Apex Legends Mirage Guide – Tips, Abilities, Skins, & How-to Unlock! 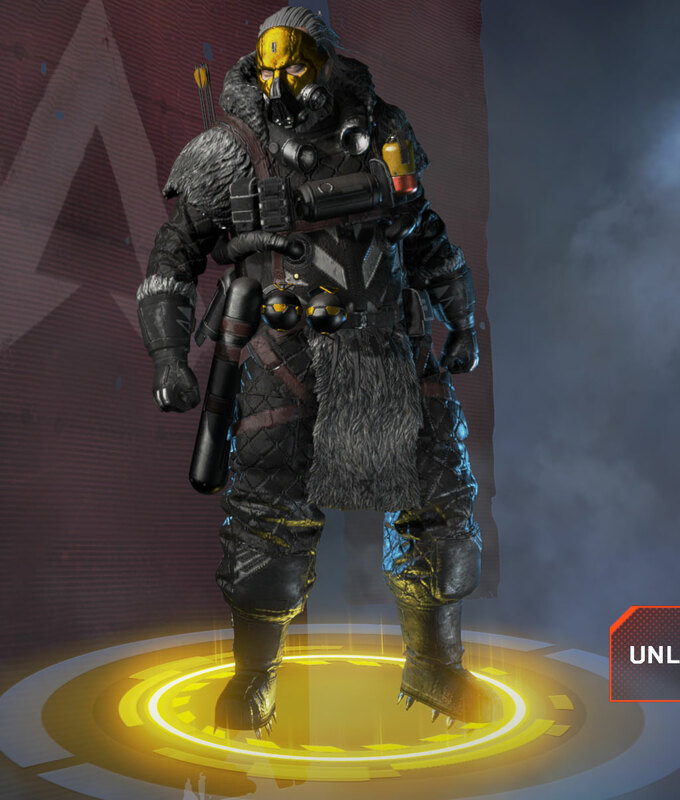 Apex Legends Gibraltar Guide – Tips, Abilities, & Skins! 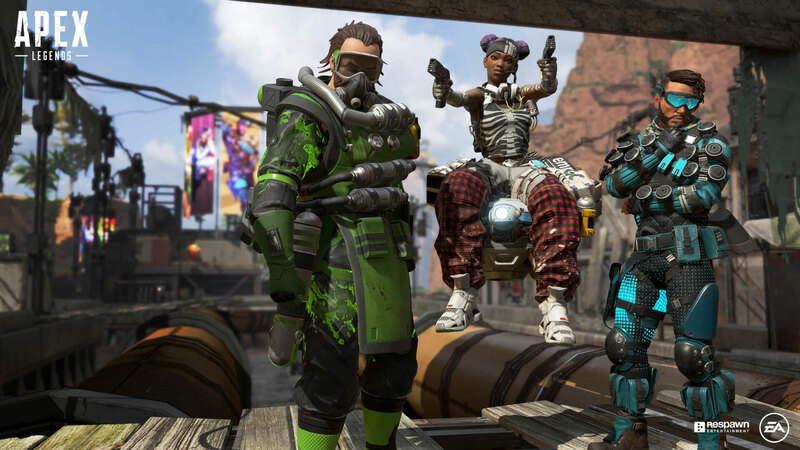 Apex Legends Lifeline Guide – Tips, Abilities, & Skins! Caustic is one of two Legends that don't come unlocked with the game currently. There are two ways to unlock him. First, you can purchase Apex Coins with real life money. 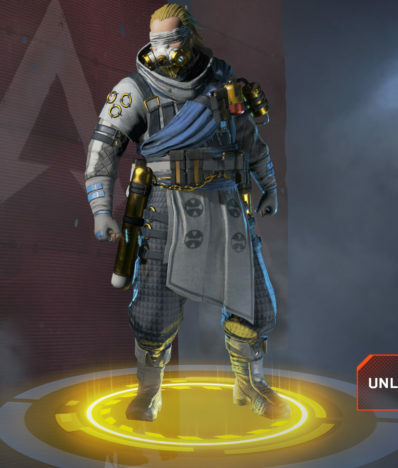 It's 850 Apex Coins and you can buy 1,000 coins for $9.99 USD. If you don't want to spend money, you can play the game and earn Legend Token as you level up. You will need to save 12,000 of these and then you'll be able to use them to unlock Caustic! Drop canisters that release deadly Nox gas when shot or triggered by enemies. This ability while not doing great damage is good for sealing, blocking, or making areas awkward for entry. The canisters can also be placed at choke points where they will alert you to the presence of enemies. When you place a canister it does not immediately start spraying gas. You can either shoot it, or have an enemy run by it to trigger them. If you dislike the placement of a canister, you can pick it up and place it elsewhere. Place canisters show up as a gray outline when behind walls, when they are triggered they will appear green. Allows you to see enemies through your gas. This is an okay perk, most players will avoid the gas as much as possible. If a player is caught up in the gas, they will be highlighted green. Blankets a large area in Nox gas. 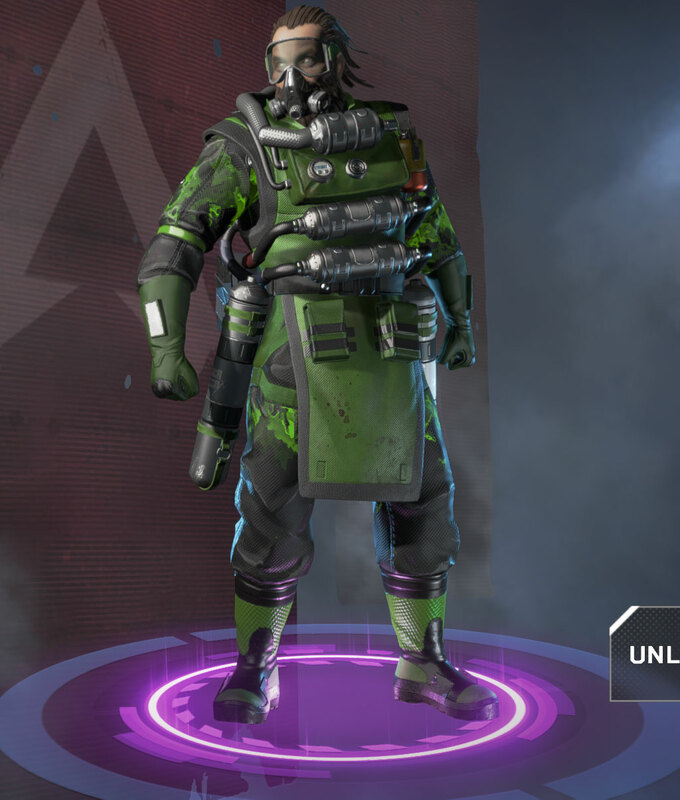 This ultimate is the largest reason to play Caustic. You can fling this thing and create a huge gas cloud that damages enemies and obscures their vision. The damage is not insane, but if an enemy gets caught up in it you can see them with your passive and take them out. Caustic's gas traps are particularly useful in the early and late game. You can spread them around early and catch a lot of players that are quickly running around for loot. In the late game, you can cover the circle in traps and make it hard to avoid them. Place canisters near doorways and areas you expect an enemy to potentially appear as a way to alert you or deter them from getting the jump on you. This is especially useful if you are looting or reviving a teammate. If enemies are trying to escape the storm, be sure to place canisters in their path to make it more difficult. While you are mainly hoping to use Caustic's ultimate to disorient an enemy can also be used as a smoke grenade. This can allow you to be aggressive or get away in certain situations. Caustic pairs well with Bloodhound who can track enemies through the gas. Players would also do well to use optics that can highlight enemies. Be careful when throwing gas around your teammates and in particular your ultimate. While they won't be damaged by it like enemies, they'll still struggle to see through it. Landing on the Loot Barge is a good idea with Caustic. You can throw around your canisters and make it really hard for people to get around. This way you get all of that extra good loot for you and your team. You can use Caustic's canisters to block doors! This is especially useful if you are trying to prevent an enemy from entering, or you are trying to keep an enemy trapped in an area with your gas. Most players still haven't realized you can melee down a door, so if that's the case then you can revive a teammate or get off a heal before they can get inside. For a good example of trapping players inside a room, check out this Reddit clip! The canisters can be destroyed by enemies if they shoot the very bottom of them (it's the red part of the canister). They will not spew gas, this is unfortunate for Caustic who might already have trouble getting usage out of these. Take a look at some of the skin options for Caustic! We've got some wallpapers of Caustic so you can dress up your desktop! They are both 1920x1080 in size, you can click to enlarge them. This guide is very useful because it helps me and anyone who visits this website to learn more about caustic.